The saying of course does have another meaning to do with "ladies of the night"
I remember it as "All fur coat and no knickers"
Have you come across this one before? claimed to have been around a while. Another variation on the same phrase, presumably with the same meaning. 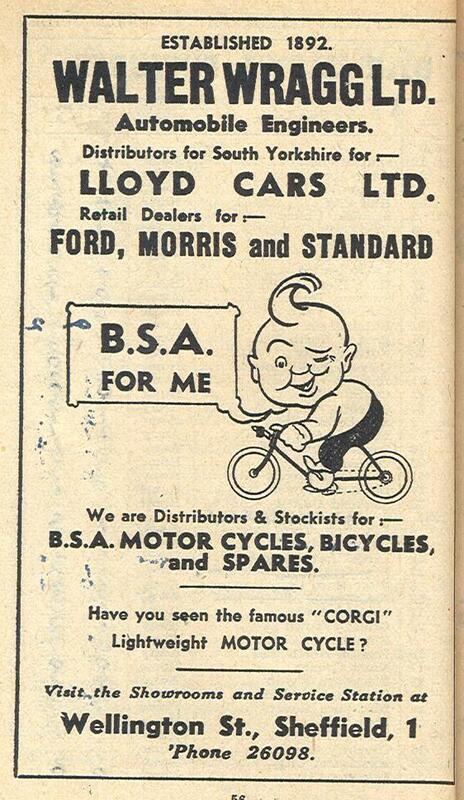 I wonder what sort of motor vehicles Mr. Wragg was selling when his business was first established in 1892? 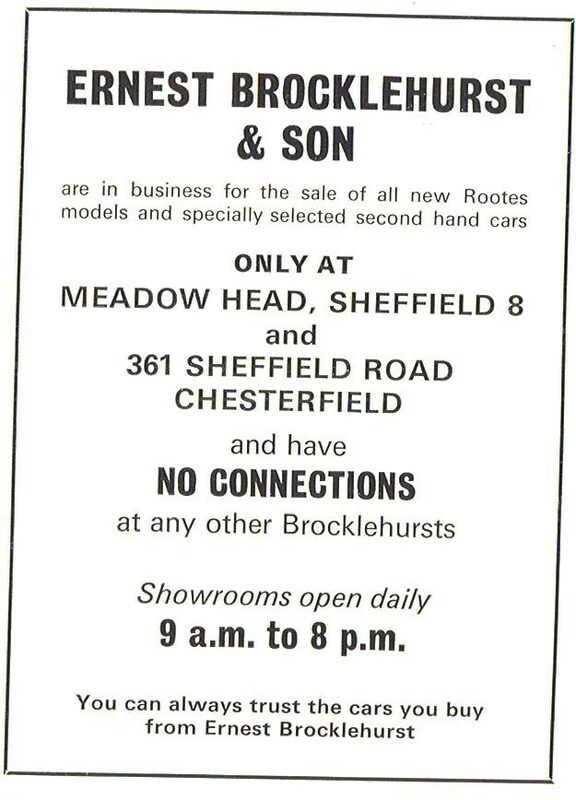 Before my time or at least my memory - what were "Rootes models" and why the statement about "no connections" to other Brocklehursts? I remember his Rolls Royce, reg TON10. Wonder who owns that plate now ? W/E. What about trying to find a photo of this Wolseley dealer, circa 1920s. --- Essam & Hewson Ltd. 358-361 Glossop Road Sheffield. Telegrams `Wolservice` Phone West 663/4. W/E. 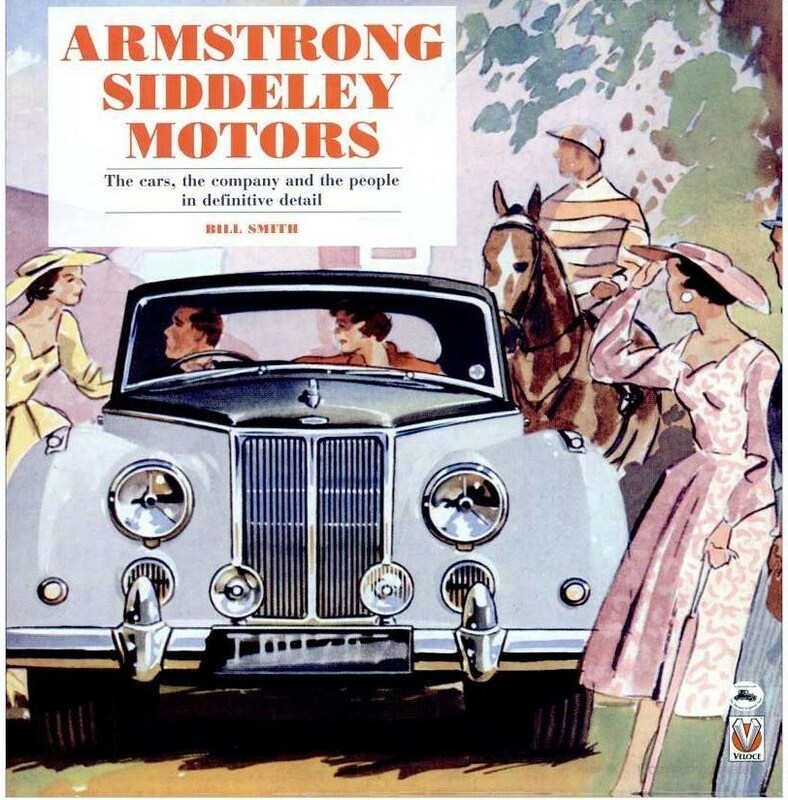 No photo WE but they were also Armstrong Siddeley dealers. There's a brief mention in this book. And another dealer mentioned. Midland Garage. Sorry about the untidy post. The uploader and previews have gone to pot. I worked for my father Fred Wilson who had a garage on Bradfield Road H|illsborough next to the cross roads. I joined him in 1968 and we sold at that time, Rootes group(Hillman Humber Sunbeam Comma, I know Deighton Motor company. In later years we took the SAAB and Honda francises. Hello - welcome jimboy. Thanks for the input. I remember the place well. You know the stuff. Photos, advertisements, anything which needs preserving and that people will be interested to see. Look forward to seeing it if you have anything. In the 1970's & 80's Beighton Motor Company was a Wartburg Dealer. 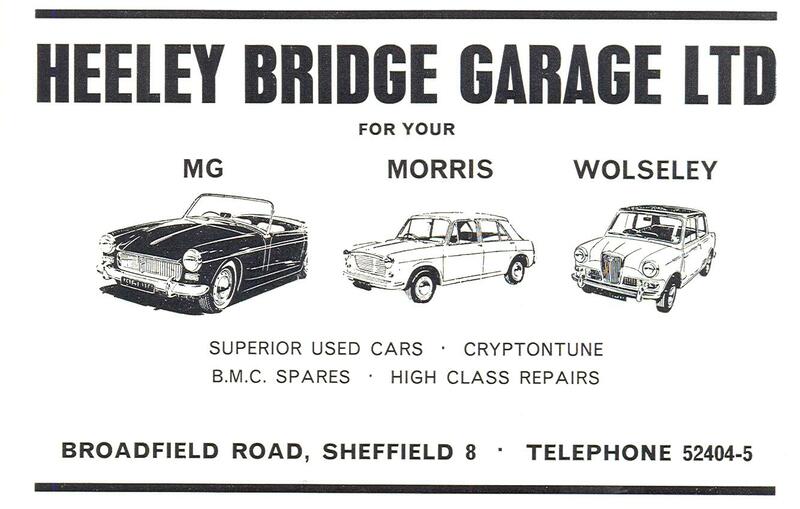 I'm desperately trying to remember who had the Lada & Moskvich dealerships in Sheffield! Some body must have bought one of these - own up. I think that at that time a lot of the local "car builders" would really be coach builders putting custom built bodywork onto bought-in chassis made by bigger British and foreign manufacturers. I've got some books on early motor cars and this practice seems to have been commonplace. Moskvich, the dealership was opposite Handsworth Church / Lada, Law Brothers Leppings Lane. I'm getting confused here, (no change then), were Wartburgs the 2 stroke cars with three cylinders and a triple contact breaker connected to three coils ?. If they were then there used to be a garage selling Wartburgs near the bottom of Broughton Lane which had them displayed against the pavement. I remember looking under the open bonnet of one while waiting for a bus in the early sixties. As I understood it Wartburgs were 2 stroke engines like the Trabant used to be. Like all vehicles with 2 stroke engines these days, particularly motorcycles, they are rapidly becoming a thing of the past and are very much looked down upon by the "environmentalists" due to the fact that 2 stroke engines are designed to burn their own lubricant and as such could never really comply with modern exhaust emission regulations. I sort of had a Moskivitch van in the 80's. It was sitting in a warehouse where I did some work and had been there for years. The engine was shot, but it had hardly turned a wheel. I put an engine in for the owners in exchange for use of it when I wanted it. The bodywork was immaculate even though it was about 10 years old. It was a juice gobbler. It was like driving a bus. Nuts and bolts needed replacing once they'd been tightened a few times because they were so soft. Although they were quite a large vehicle, the "van" payload area was very small. I couldn't get a twin tub washer (remember those) in it. The heater was fantastic. There were more controls for the heater system than all the others put together. Made I think in Croatia. Of all the old cars you may see once in a while, still on the road, a Wartburg Knite was the most surprising to me. You may expect to see one in good nick, probably restored by an enthusiast, but a couple of years ago I saw one on the A1. Billowing smoke, and looking like something that a scrap yard had rejected. anyone remember Eric Stead garages i think were at H/boro. Where was the Hillsborough branch exactly ? Something to do with those extremely cold Siberian winters. I have heard that in Russia it is an offence to drive past a broken down vehicle without offering assistance. This is mainly to stop people from freezing to death in the extreme cold winters. If a Diesel vehicle breaks down it isn't long before the electric fuel tank heaters run the battery flat and the fuel freezes solid in the tank making it impossible to restart the engine. The actual car company was not started in 1878. The family started out as hawkers in Clay Cross - I'm descended from the poor branch of the family. When young George Kenning won a car in a competition in the early 1900's, he immediately saw the potential for distributing and servicing his pioneering form of transport. At his death in 1956 he left a business with a £20m turnover and showrooms all over the country. Getting your first car can be a memorable experience. But for George Kenning almost a century ago, it was much more than that. Winning one in a competition at the dawn of the motor age, he realised the new mode of transport had great potential. Born in Clay Cross on May 21, 1880, George was the second son of Frank and Ann Kenning. His Father had previously been a miner at the local colliery. But in 1878, Frank Kenning found himself trapped in a cage in a winding incident. He swore that if he got out alive he would never go down the pit again. True to his word, he began hawking door-to-door with a basket of pots instead. Establishing a hardware shop on King Street in Clay Cross, he bought an old colliery horse for £4 and took his goods further afield. As a young boy, George helped his father on this market stall in Chesterfield, selling everything from matches and soap to pots and pans and paraffin. Leaving school at age 11 he began working for the family business full time. By the turn of the century, F Kenning & Sons was hawking paraffin oil throughout the Chesterfield area, for in 1901, George's father signed an historic agreement with the Consolidated Petroleum Co Ltd, forerunners of Shell and BP. The paraffin arrived by rail and was transferred into small horse-drawn tankers for delivery to customers. In 1908, following the death of his father and his older brother Frank, George assumed control of the firm, helped by his younger brother Herbert. The young man soon began to expand the business. He hired out bicycles to the oil companies for their commercial travellers and, purchasing 60 horses, he leased them out to pull the tank wagons. But a new kind of vehicle was beginning to appear on the country's roads; the motor car. When a soap company ran a competition with a car as the prize, George was determined to win it. The vehicle was to go to the person who sent in the greatest number of soap wrappers. As the young man was already selling the brand in his shop, he persuaded dealers and customers alike to part with their wrappers. Thus George Kenning secured his first motor car. With an eye to business, he began to see great possibilities in the distribution and servicing of this new mode of transport. By 1910, he had acquired his first motor agency, becoming a distributor for BSA Royal Enfield motorcycles. Six years later, he became an agent for Ford. Then in 1919 through his friend Dr T F Wilson, a local physician, he was introduced to William Morris. Better known today as Lord Nuffield, Morris had begun building motor cars in a shed behind his office at Cowley a few years earlier. With his dreams of making small cars at affordable prices for the man in the street, he was set to revolutionise Britain's motor industry much as Henry Ford had done in America. Kenning decided to visit him at Cowley in a bid to win the sole agency for Morris cars in Derbyshire. The meeting was to prove memorable for both men. To pinpoint exactly where Kenning had come from, Morris got out a map. He said, "You ask for the agency of Derbyshire and you live at Clay Cross, a little place near Chesterfield." Kenning was quick to reply, "No, it is Chesterfield near Clay Cross. After all Cowley is not on the map except as a suburb of Oxford, but you make the finest light car here and I will put Cowley on the map; give me the car and I will sell it." And he proceeded to offer a contract for 185 cars. At the time, he did not have the cash to pay for them, neither was it certain that Morris had the capacity to produce them. Yet this did not deter the two men from doing business. Shortly afterwards, Kenning negotiated the sale of the first fleet of Morris cars ever sold: 181 two-seater bullnose Morris Oxfords for Shell representatives. He went on to sell the first three fleets of trucks for Morris as well. Salesmen like George Kenning were vital to the early expansion of Morris Motors, and he and William Morris became good friends. 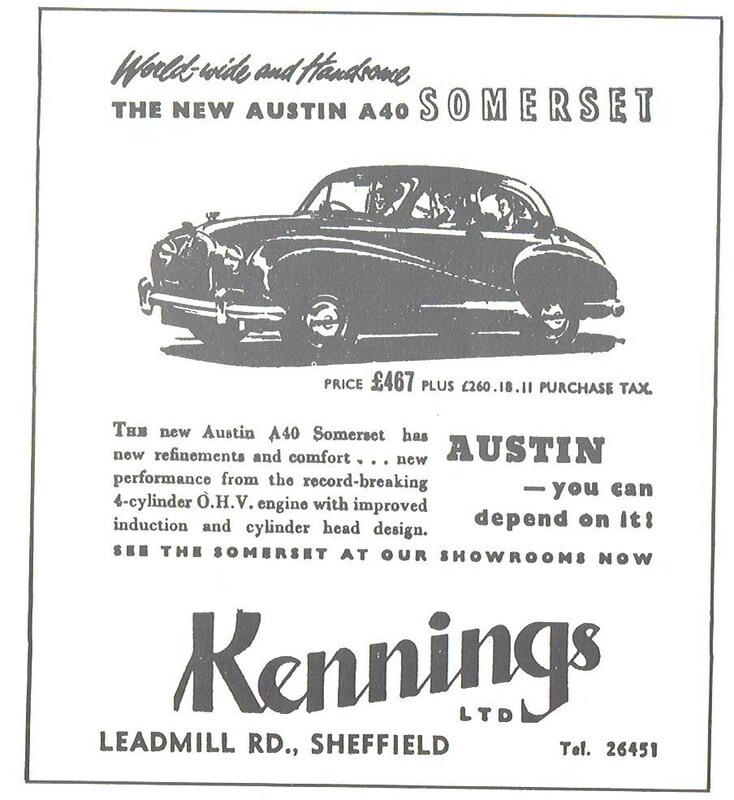 During the 1920s, Kenning was the only company in the country to hold both Morris and Austin distributorships. They also held the first agency granted by the truck making firm Dennis.